I've spent a great deal of time searching the internet for sites relevant to middle school students. There is so much content available, both in stores and on the net, to elementary teachers, and a lot of websites dedicated to advanced content, but not so much for our middle school teachers and students. This site was designed to provide a place to organize sites that will aid middle school teachers and others who work with middle school students in providing meaningful content that students can use. Although the focus of the website in on subject area content, the entire site is designed to help middle school educators and students in all areas of the educational process. So, to those of you who engage in the wonderful, wacky world of sixth, seventh, and eighth graders, welcome, and I sincerely hope this site can be of some benefit to you. A wonderful young lady named Maddie sent me a really cool website on Glass Making in Ancient Egypt! I absolutely love this site! Thank you, Maddie, for sending me this link. Superstar kids Alexa and her classmates found the coolest Medieval Europe website about Medicine and Health in the Middle Ages. 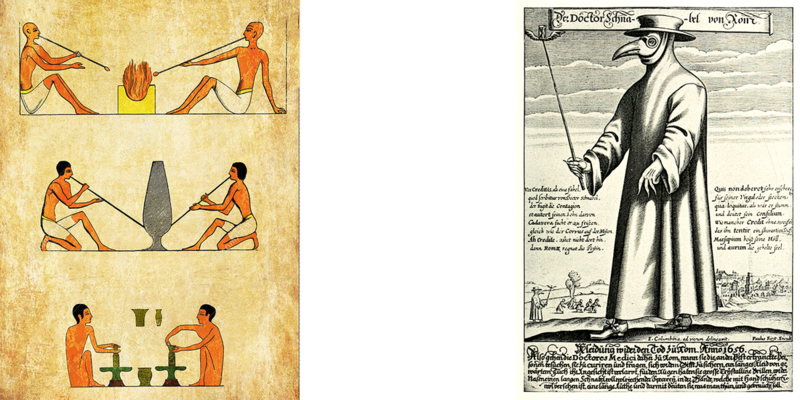 If you want to learn more about the "humors" of the body and the Black Death, give this site a look!